Schooner Bay is a luxurious beachfront condominium development on the West Coast, within walking distance of Speightstown. 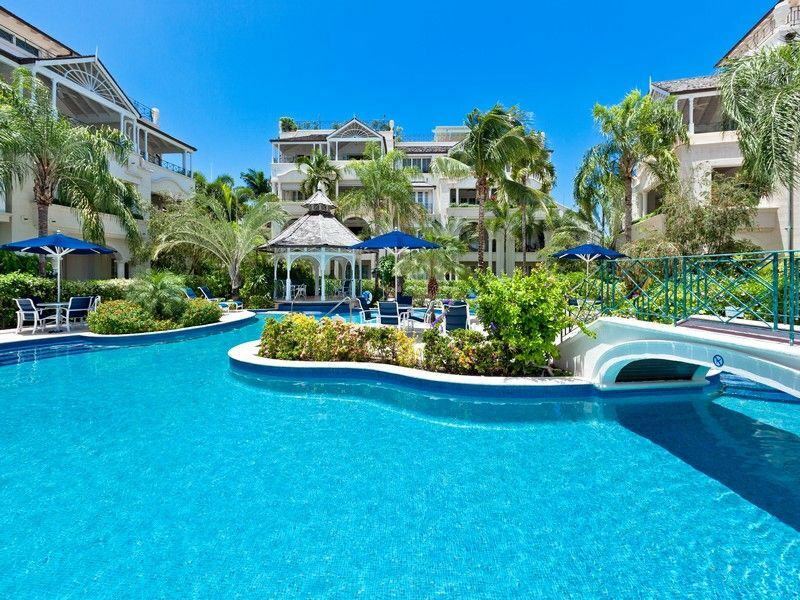 The Palms is a spacious two bedroom apartment located within a few yards of the beach. The property enjoys magnificent tropical gardens surrounding a free-form swimming pool and jacuzzi. The interior of The Palms is furnished with a tropical flair to exceptional standards of luxury with beautiful light pastel combined with bursts of colour, creating a tropical, airy feel. The apartment has the benefit of central air-conditioning. Each of the two bedrooms is spacious with bathrooms ensuite. Also located on Schooner Bay's property is a gym upstairs the on-site manager's office.